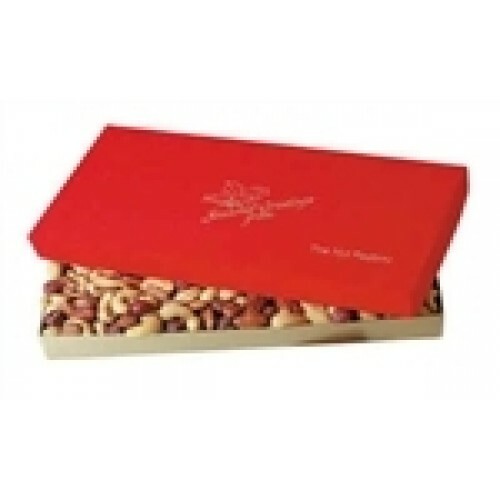 This festive holiday red box holds 3 pounds 8 ounces of our mouth-watering mixed nuts. 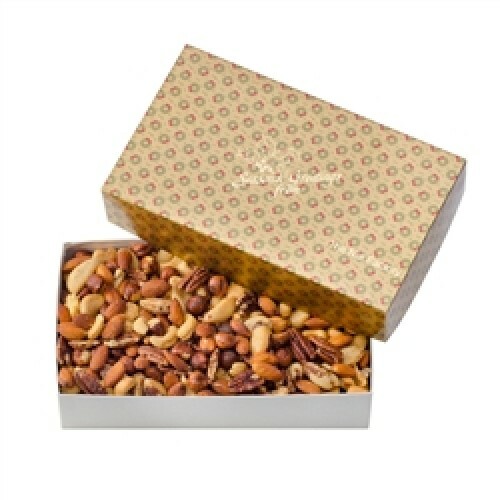 This gift is a less expensive nut mixture. It has freshly roasted peanuts, as well as perfectly roasted cashews, almonds, peanuts, pecans, hazelnuts. It makes a statement that you care but is still reasonably priced..
We use a very unusual basket roasting process for a very special roast. We have done it this way for 63 years.